Showing results by narrator "Ed Elkins"
In September 2010, Alejandro Souza learned that Momo, his cousin and closest friend in the family, was suddenly imprisoned. 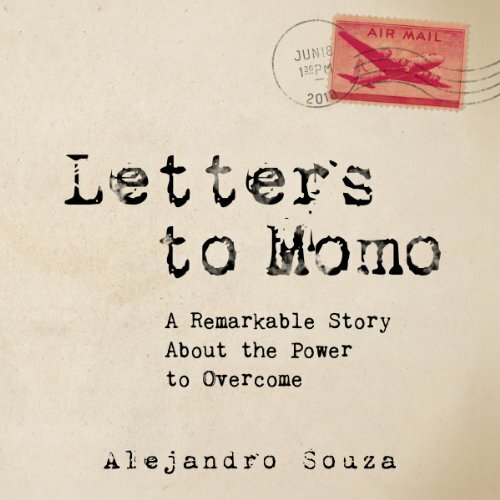 Crushed by his imprisonment and desiring to infuse him with strength, resilience, and, above all, love, Souza made an unconditional commitment to write Momo one letter each day for as long as he was in jail. Letters to Momo is the true, remarkable story about the power to overcome told by the collection of all letters written to Momo during his 144 days in prison - intact and in their original state, exactly as he received them.